The alphabet is not new but when Google jumped on board and renamed its new parent company Alphabet, Inc it called out the vast number of separate ventures Google is involved in. Google literally has companies for every letter of the alphabet so it makes sense their parent company now uses that name. However one other organizations could have made a better claim to rename to Alphabet if they had not got beaten to the punch by Google. That company is best known as the world authority on domains, ICANN. Having recently approved new Top Level Domains for every letter in the alphabet it would have made sense for them to rebrand as well. 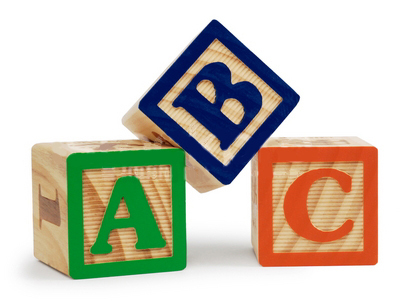 Without further ado, here are the ABCs of ICANN. In our ICANN alphabet we mixed in cities, brands, religions, and generics to the list but clearly ICANN could have built 5 whole alphabets without repeating one TLD. The letter S is the most common letter with 125 uses. In fact, you can make sentences just from the letter S. Seven Science Scholarships Support Swiss Surgery.